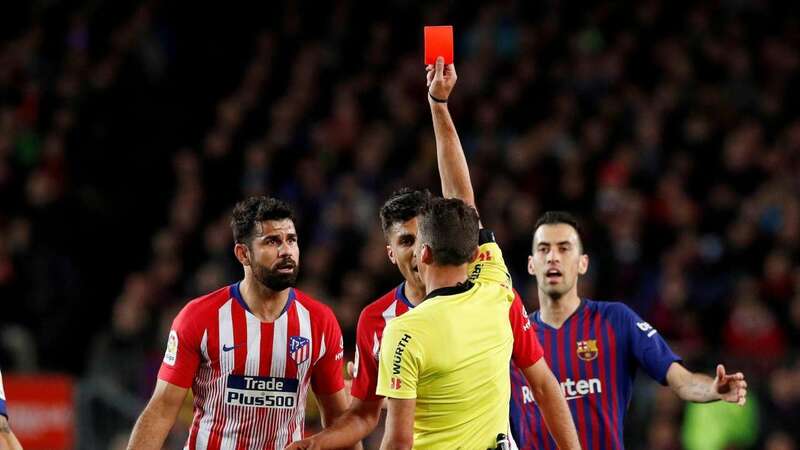 April 11 (AZINS) Atletico Madrid striker Diego Costa will miss the rest of the season after being handed an eight-match suspension by the Spanish Football Federation (RFEF) on Thursday. The statement added: "Consequently, it is appropriate to sanction the player with a four-game suspension referring to article 94 (insults, verbal offenses and insulting attitudes) and four more referring to article 96 (light violence towards the officials), both from the Federation's Disciplinary Code." Costa's dismissal in the 28th minute at Camp Nou meant Atletico had to play for more than an hour with 10 men in a match coach Diego Simeone had said they had to win to keep their title hopes alive.